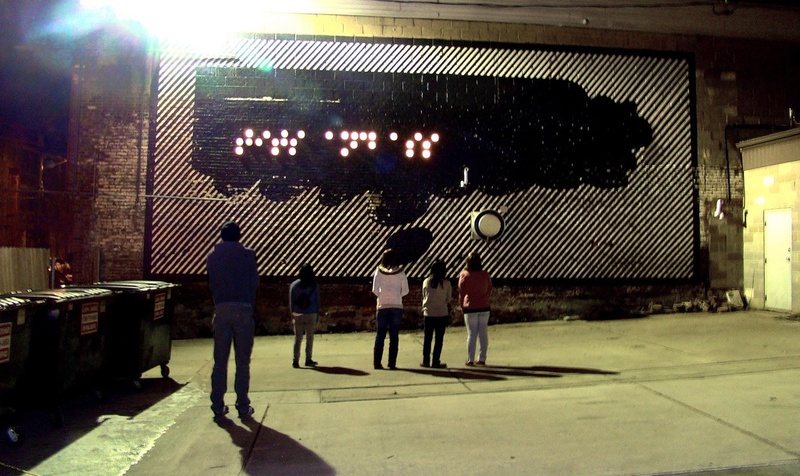 This installation was inspired by graffiti tagging, and the culture of playful, but competitive, showistic markmaking. Braille lettering is used here primarily as a system of encoding text. 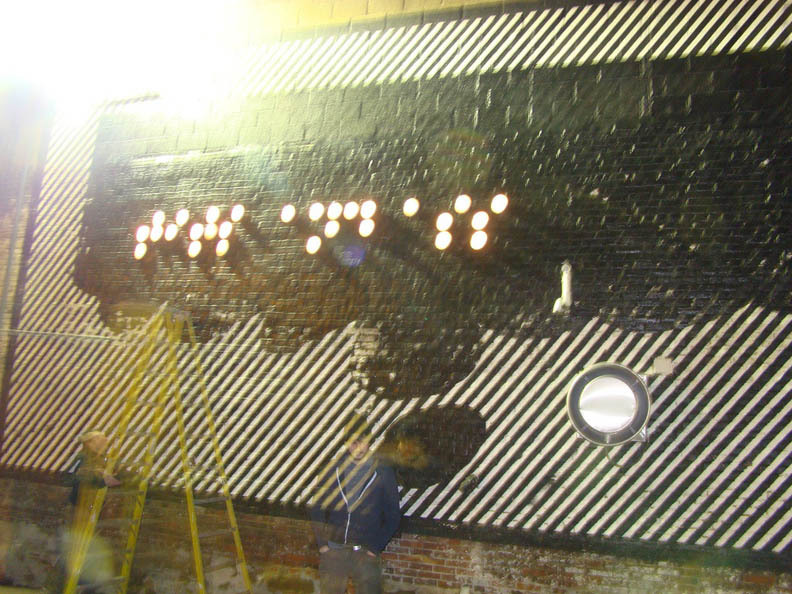 The lettering is enlarged, and using tiny light bulbs is playfully illuminated on the surface of this pre-existing mural on the side of Artists Image Resource on Pittsburgh’s North Side neighborhood. The Braille was too high to be touched, and because of its encoding was not able to be read using visual means of interpreting text. Over the course of the installation, some lights faded and others went out. In this way the encoded meaning shifted arbitrarily over time. 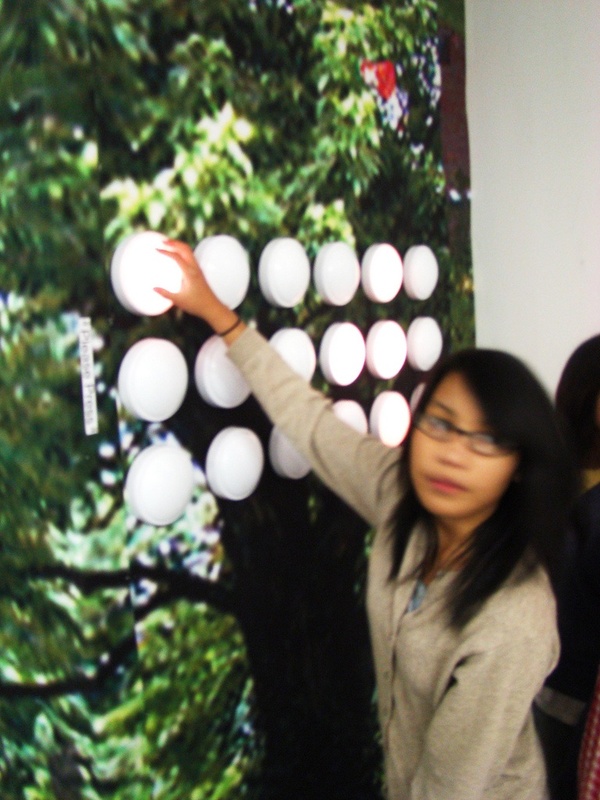 Another installation of Braille “dots” was placed in the interior of Artists Image Resource and this time it was low enough to be touched. 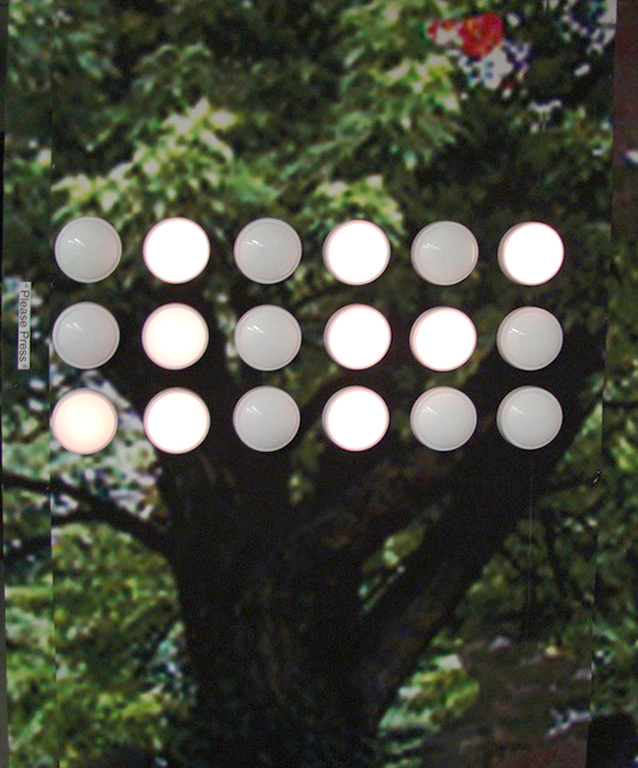 Each Braille “letter” consists of two columns of three potential dots, which are either risen or not, creating the different letters. 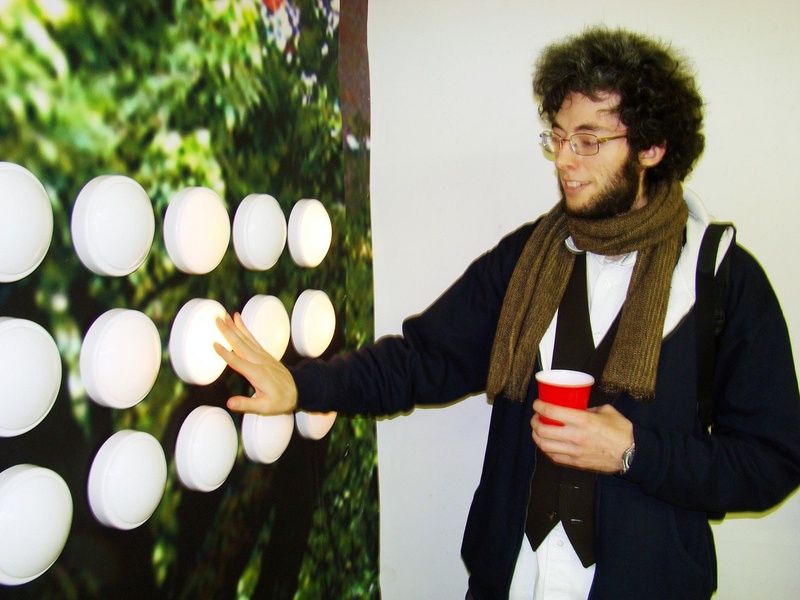 Viewers of the piece could reach out and grasp individual dots (each approximately the size of a C-cup), illuminating them. 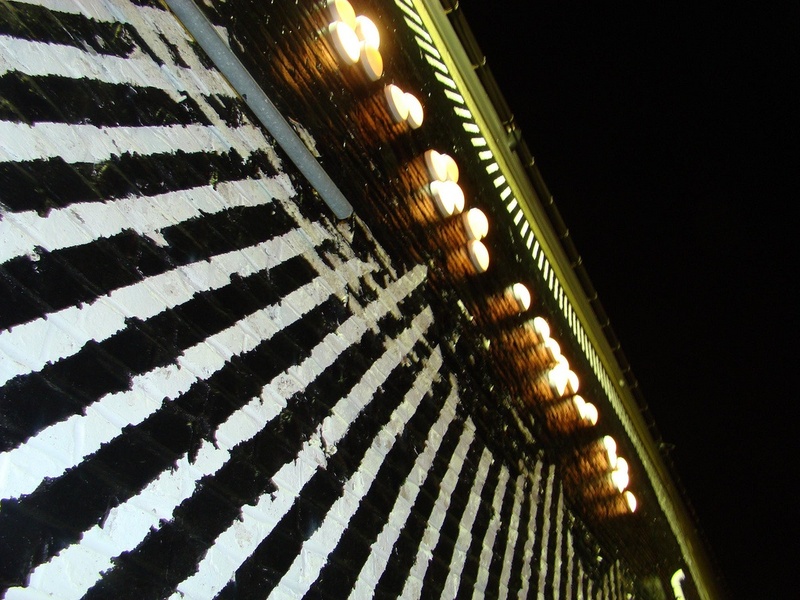 With different levels of power, the lights shone at varying levels of luminosity. 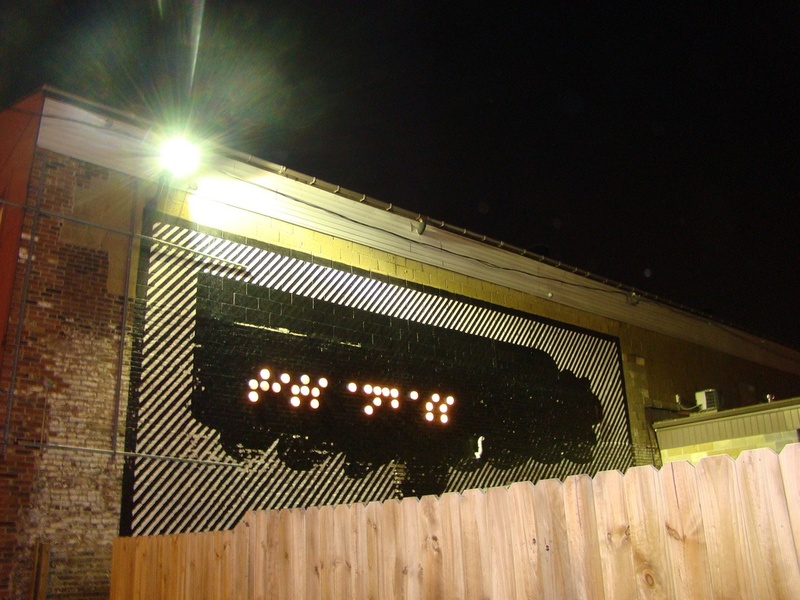 Photographs documented the different combinations of lights, “transcribing” the visual Braille code as it changed.